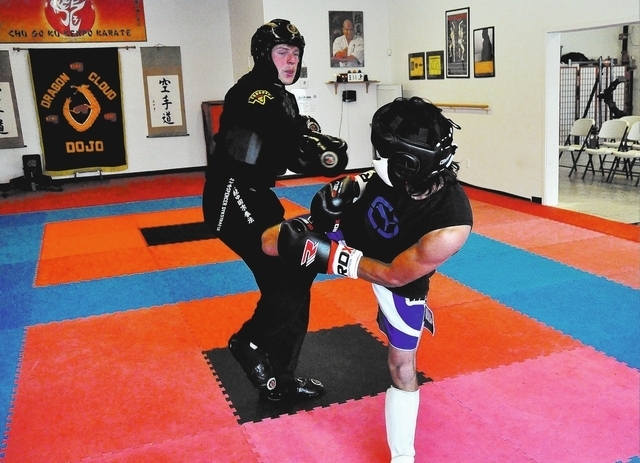 Andrew Gonzalez is the latest amateur mixed martial arts fighter to enter the ring from Pahrump. He will be fighting in North Las Vegas at the Cannery Hotel and Casino in a Tuff-N-Uff fight at 7 p.m. tonight. Also on the card is Brandon Schneider, also from Pahrump. Gonzales (0-1) will fight Frankie Tano (0-1) in the 135-pound division. Not much is known about his opponent, but according to Gonzalez, he is also a stand-up fighter. “I just saw a brief video of him fighting and I really could not tell from that if he had much of a ground game,” he said. 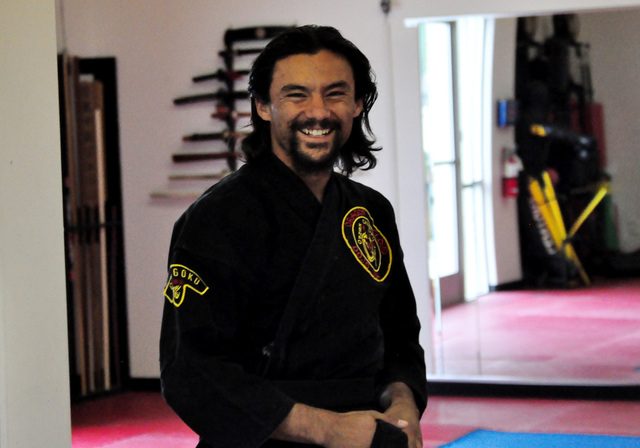 Gonzalez has been fighting for one year and is a first-degree black belt in karate. He is currently working on his second degree and his goal is to make third so that he can teach. Gonzalez has overcome personal adversity to get this far, having lost most of his hearing as a child. Gonzalez works with at-risk teens for the Nye County Coalition in Pahrump. He teaches life skills and helps kids with their education. Many of the at-risk teens he works with are from foster families or are homeless. 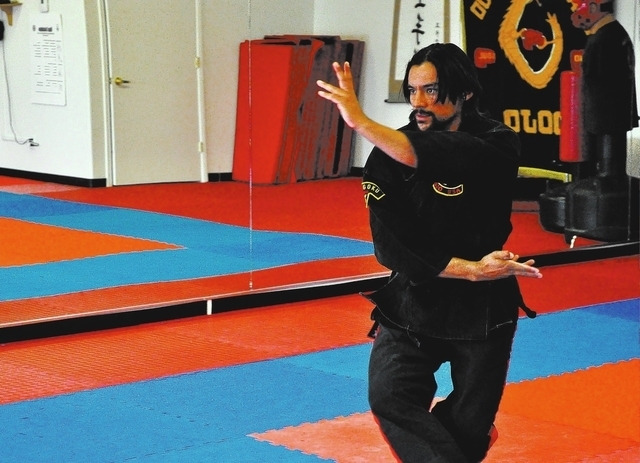 Gonzalez wants to take what he has learned from karate and teach it to the at-risk kids. He is now working on a program to teach karate to the kids to build their self-confidence. He is teaching karate to Nye County Coalition employees to test it out. “I hope to bring some balance and teach them a healthy life-style with this program,” Gonzalez said. His karate sensei, or instructor, and coach, Master Karate Instructor Jose Hernandez of Dragon Cloud Dojo, has been working with Andrew for five years. At the moment, Gonzalez is the only fighter fighting in MMA from his dojo. Hernandez said the reason for this is because MMA is not a focus of the dojo. Hernandez explained that karate takes years to master and most people fighting in MMA take things from martial arts that they can learn fast. Hernandez said Gonzalez’s strength is his attitude and he is not a bad puncher. The sensei said Gonzalez understands that he has to put in the hard work, the running, the rope work and waking up early. Gonzalez understands he needs to learn new skills to survive as a mixed martial artist. He has gone to Trojans wrestling coach Craig Rieger to learn moves and is also learning jiu-jitsu at Robert Wilson’s Mix It Up Academy. He is doing this because he lost his first Tuff-N-Uff fight to a submission judo hold, called an arm bar. Rieger brought in former wrestlers to help Andrew fight better on the ground, but in Gonzalez’s mind it was not enough and he turned to Wilson for more help. Wilson was more than happy to help Gonzalez with his ground game and this was also OK with Hernandez. Wilson said he runs Gonzalez hard. “I will keep him in there and rotate up to five fighters every minute,” he said. Despite the need for the ground game Hernandez wants his fighter to not overly focus on it. To Hernandez, mixed martial arts fighting is all about imposing your will. Gonzalez listened to his sensei and agrees that he is still mainly a striker.